At Pilates Fit Perth we offer relaxing prenatal yoga classes for women during the prenatal period. Using proven holistic yogic techniques, we aim to help you through your pregnancy by offering you physical, emotional and spiritual support. Our prenatal yoga courses incorporate traditional yoga postures, deep breathing techniques and meditations to not only keep you comfortable throughout your pregnancy, but to help to prepare you for the birth of your baby and motherhood. Our prenatal yoga classes are specially designed for pregnant women. By adapting the traditional yoga asanas or postures, we enable you to exercise, stretch and relax in safety and in comfort, to help relieve some of the common aches, pains and ailments that are often associated with pregnancy. You’ll find that our classes will help to reduce stress, and may help you to maintain a healthy weight during your pregnancy. Plus, our breathing and deep relaxation techniques will give you some essential coping strategies to help ease you through labour. Who can join in our Perth prenatal yoga classes? Our prenatal yoga classes are designed for all healthy pregnant women from the second trimester onwards. 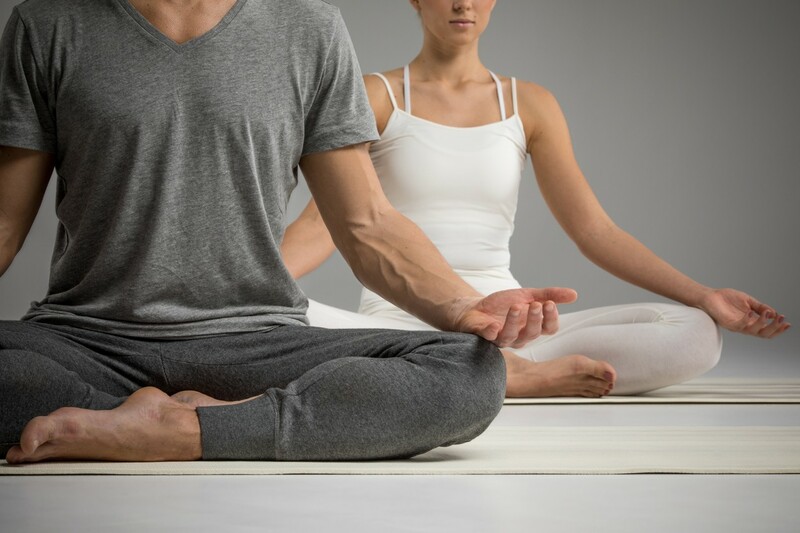 It doesn’t matter whether you’re a regular yoga practitioner or if you’ve never done any yoga before, as you’ll be given full instruction and we’ll guide you through the whole session. The positions have been specially adapted to take account of your growing baby and changing body, and incorporate breathing techniques and the deep relaxation of yoga nidra to help you to fully relax and let go. In addition to learning techniques to control your breathing which will be of great help during labour, our prenatal yoga will help you to maintain or improve your flexibility, while taking account of the anatomical, hormonal and muscular changes which are occurring in your body during pregnancy. And, as we focus on correct alignment of your pelvic area, you’ll feel less discomfort as your pregnancy progresses. Our prenatal yoga will also help to prepare you mentally for the birth, and give you the opportunity to bond and make lasting friendships with other pregnant mums-to-be. If you’d like to try prenatal yoga in Perth, we’d love to see you at our prenatal yoga classes at Pilates Fit Perth. Our qualified yoga teacher is trained to offer prenatal yoga and has a reputation for delivering the kind of prenatal yoga Perth mothers need to help them to have a healthy and stress-free pregnancy. If you are looking for clinical pilates, barre pilates, pregnancy pilates in Perth, pilates in fremantle, pregnancy pilates in cockburn, pregnancy pilates in coogee, yoga in coogee, yoga in south fremantle & yoga in south perth, Pilates Fit Perth studio is the best place to join for your fitness needs. We also offer kids yoga & baby yoga. Contact us online or by call us at 09 9437 4772.